We created our new catalog to stimulate your creativity and give you the chance to find everything you need to make your lighting ideas come to life! 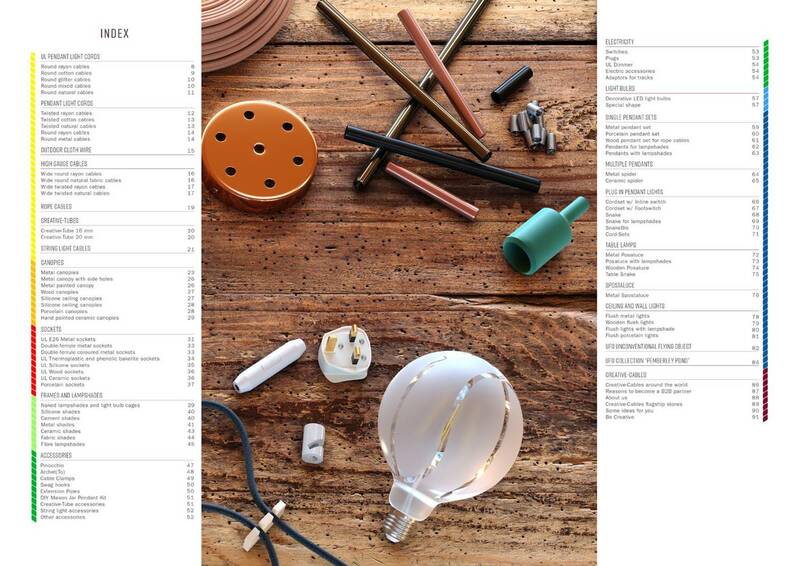 Our ready-to-use light fixtures along with light cords, sockets, canopies, lampshades and every accessory you need to complete your project: all our products are listed in the catalog and is regularly updated with all new Creative-Cables releases! Download now or take a peek at our online catalog and free your imagination: If you can imagine it, with Creative-Cables you can make it.